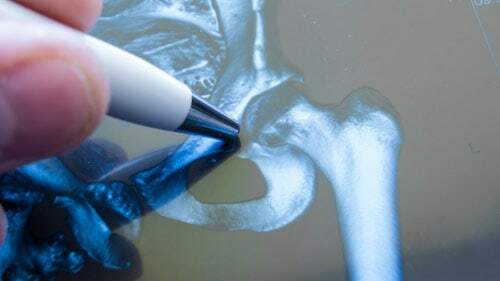 Bone Cement Implantation Syndrome (BCIS) is a rare catastrophic side effect that occurs after the patient has undergone joint replacement surgery, specifically cemented hip arthroplasty. This type of procedure is usually performed more on the aging population than other demographics. Even though medical science has yet to fully understand the syndrome, the condition may be exacerbated by associated complications in older patients and other risk factors in clinical features related to the case. The syndrome typically develops when affected bones release fat and marrow spontaneously into the bloodstream within minutes after the surgeon has injected the bone with bone cement. As the substances moved through the body's bloodstream, the released marrow and fat can clog the arteries of the heart, lungs and other organs. The clogged arteries produce a life-threatening complication that could result in cardiac arrest and eventual death. However, it can occur after any surgical procedure that breaches the femoral canal that might or might not require cement when installing a hip implant. The first case of bone cement implantation syndrome was reported in 1970, nearly a decade after bone cement was introduced as an effective solution in hip arthroplasty surgery. Since then, most published cases involving the condition have reported clinical findings of unexpected biological responses in patients undergoing or have undergone hip replacement surgery without histological evidence. Because the condition is rare, many joint replacement candidates are never informed of the serious potential complications that can occur during a hip replacement surgical procedure. It is often the failure of the device manufacturer, doctor, hospital or other medical professionals involved in the hip replacement surgery in warning the patient that bone cement implantation syndrome can develop during or after the procedure that could cause significant harm or take their life. Who Is at Risk for Bone Cement Implantation Syndrome (BCIS)? Who Is at Risk for Bone Cement Implantation Syndrome? Doctors have yet to find an exact cause of bone cement implantation syndrome. However, it has been associated with hemiarthroplasty (hip surgery) where the surgeon injects bone cement into the affected area. It is believed that this procedure pushes bone marrow using high-pressure out of the patient's femoral canal releasing it into the body's bloodstream. However, it might be caused by the release of mental methacrylate cement molecules into the bloodstream. While the condition is rare, it is known to have caused at least 40 deaths of hip implant recipients in the United States since it was first introduced as a solution in joint replacement procedures. Medical science has identified the correlation between certain risk factors including fractures, metastases, osteoporosis, and abnormal vascular channels where marrow can travel to the body circulatory system. Other individuals at risk are those who suffer from ASD (atrial septal defect) and/or PFO (patent foramen ovale). This is likely because they have an increased risk of developing a cardiovascular complication including pulmonary embolism. Heart Failure or Cardiac Arrest where the heart suddenly stopped beating unexpectedly. Pulmonary Embolism caused by the release of fat marrow into the bloodstream from the lower portion of the body that then moves into the lungs, obstructing arteries. The symptom is often misdiagnosed by doctors who overlooked the condition that is causing a cluster of debilitating and sometimes life-threatening chronic symptoms. An accurate and verifiable diagnosis of BCIS is usually the result of ruling out any other possible cause, condition or disease based on the symptoms the patient is presenting. Though there is no cure for bone cement implantation syndrome, doctors can provide symptoms supporting palliative care for the patient suffering from the condition. The doctor can provide treatment including life-support that improves or stabilizes heart function. The doctor will recommend cardiovascular system care, maintain blood volume support, manage right heart failure and administer oxygen when required. Preventing the syndrome is crucial to the patient's response and quality of life after the surgery. Many of the symptoms can be avoided if the anesthesiologist takes certain precautions when providing anesthesia to the patient in the first few minutes after the surgeon has applied bone cement during the procedure by waiting until the patient's blood pressure levels have returned to normal.